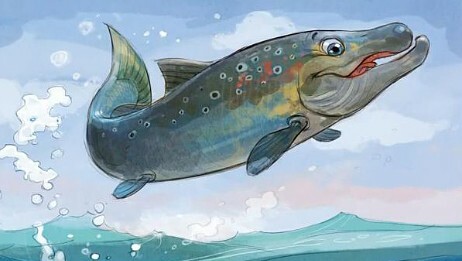 In the new children’s book “Salomon, the Wild Salmon – and the Big Adventure” Salomon meets an abused and depressed farmed salmon. The book is published by Vigmostad & Bjørke. The salmon lice are clinging to their sore backs, screaming. They are many. Salomon recognizes them by the split fins, small mouths and the bite marks on their back. It is crawling with lice around the net, so he has to roll constantly so that they will not stick. The salmons look tired. Nobody’s laughing or having fun. CEO of Ellingsen Seafood, Line Ellingsen, thinks that the book gives a wrong impression of the fish farming industry. -I do not think it is a good idea to present this to children, especially when it is not the truth. The fish have enough living space inside their nets, she told Norwegian Broadcasting. Ellingsen believes that farmed salmon in Norway are being taken good care of. She says that the fish are getting enough food, and that the industry is properly run, and is not interested in buying the book for her own children. Neither is Aino Olaisen at the fish farming company Vigner Olaisen in Lovund, Nordland County. – I do not recognize the fish farming industry in this presentation. The reality is not black or white. We have never experienced so little ‘salmon escapes’ as now. We have invested billions in certificated equipment and we can see positive results. The industry also takes the lice challenges seriously and has done a lot of research on the subject. The book does not give a nuanced version of aquaculture, Olaisen told Helgeland Arbeiderblad. The author himself thinks that the book combines facts, adventure and art, and that there is no guarantee that everyone will like it. – The book is not about farmed salmon. It is about one salmon’s amazing journey. It is a dangerous trip for the little fish. Salomon faces many dangers, both natural and man-made. 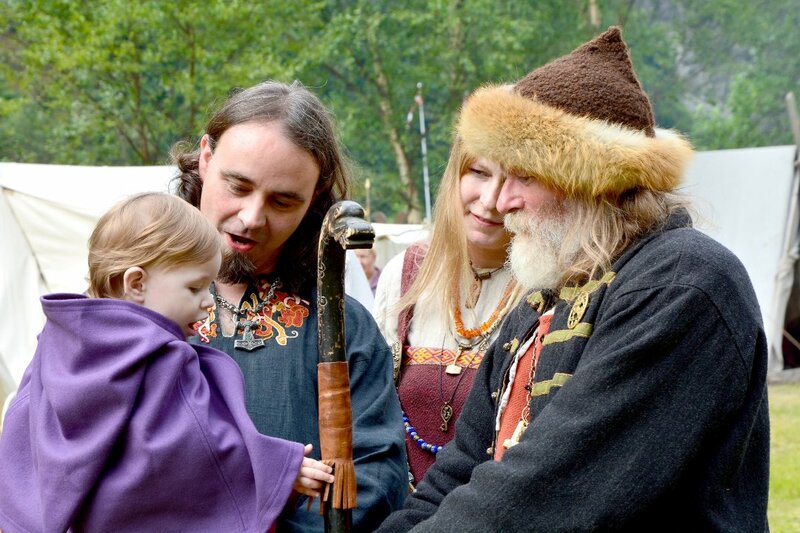 It is a great story, the writer tells Norwegian Broadcasting. Remember that you are lucky, Salomon. When you are eating fat fish larvae, the farmed fish are chewing bad food that makes them too fed and docilely to go on a long journey. I wish you a pleasant trip up north! It’s that way. The wrasse is navigating with his lips before he slurps a couple of lice … Salomon swims on. He turns around and sees that the farmed salmon are biting each other, and that many of them, the same size as him, are stuck in the net. The wrasse knows more than just eating lice and Salomon smiles when he sees the big lips helping a worn tail out of the net. – They must accept that children look at it this way, Vaaler says. He adds that he has nothing against the farmed salmon industry. As part of the Norwegian ‘Cultural Rucksack’, Vaaler is visiting schools around the country reading from the book. –It has become a great success. It is a beautiful story for both adults and children, he adds. Along the journey, he has brought Audun Rikardsen, a professor of Arctic and Marine Biology who has framed the story and made it academically correct. In 2011, Norway exported fish for a total about 10 billion dollars (53 billion Norwegian Kroner). The figure corresponds to 2.7 million tons of seafood. The value of farmed fish from Norway accounts for more than half of the total exports. The largest markets for Norwegian farmed salmon are Russia, Poland, Denmark and France. Nordland and Hordaland are the largest farming counties. The world’s largest aquaculture company, Marine Harvest, is owned by the Norwegian John Fredriksen. Several Norwegian aquaculture companies are among the world’s largest seafood companies.